« Might tomorrow’s blood moon have massive prophetic significance? The Continuing Church of God has a sermon titled Where are the Ten Lost Tribes? Why does it matter?, which is at its ContinuingCOG channel. Where are the ‘lost tribes’? Why are there considered to be ten lost tribes of Israel? Did the United States descend from Manasseh and Great Britain, Canada, Australia, and New Zealand descend from Ephraim? Are the American and British descended peoples Israelites? Where is America in Bible prophecy? 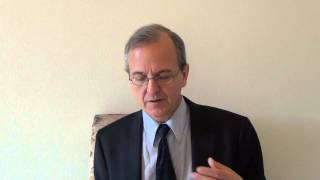 Where is Britain in Bible prophecy? Who are the 12 Tribes of Israel? Where are the lost ten tribes of Israel? What About Northern Europe? Are critics of ‘British-Israelism’ such as Walter Martin wrong? What does the Bible teach? What do the lessons of history teach? Here is a link to that sermon: Where are the Ten Lost Tribes? Why does it matter? The short answer is that this knowledge matters because of what Bible prophecy teaches. This entry was posted on Friday, April 3rd, 2015 at 4:00 pm	and is filed under Old Testament History, Prophecy.